These NB1253 Light D'Addario Nickel Bronze Wound acoustic guitar strings offer great volume and projection. 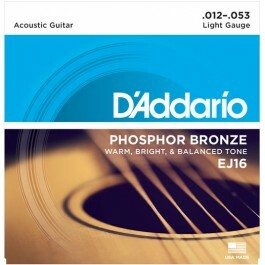 This is D'addario's top of the line uncoated acoustic string. Available to buy online and in our Glasgow shop. Fast delivery to the UK and Europe. 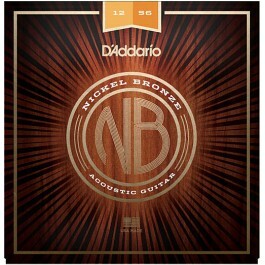 The Light D'Addario NB1253 Nickel Bronze Wound Strings have brilliant clarity, resonance and projection. 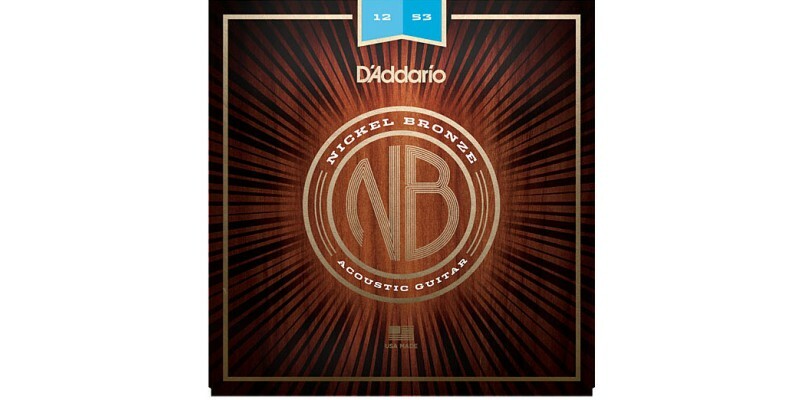 For those looking for a set of premium acoustic guitar strings and don't like the feel and tone of coated ones then these might be just the ticket. 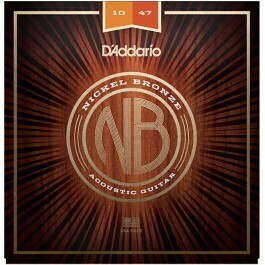 Introduced for 2016 the D'addario NB1253 Nickel Bronze Wound Strings are designed to enhance the natural character of your guitar. They exhibit excellent tonal clarity, projection and resonance. They have a very balanced sound that is harmonically rich. 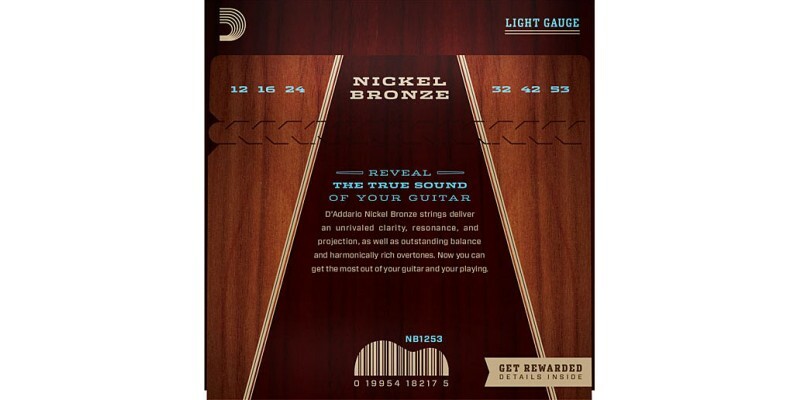 The NB1253 string also use NY Steel technology. 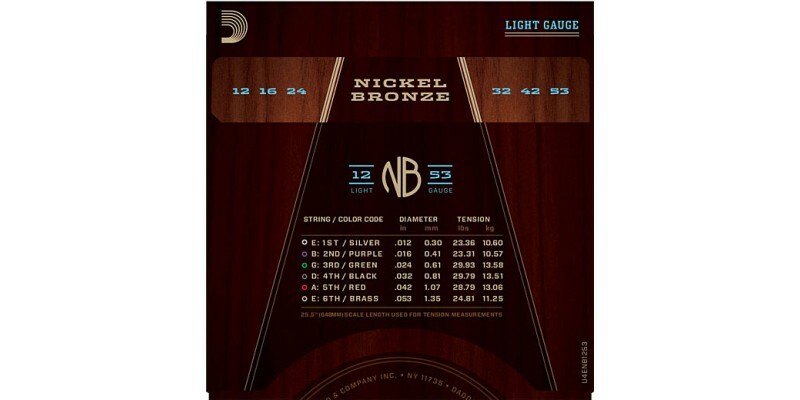 They have NY Steel cores and plain steel strings. This improves their tuning stability and helps resist corrosion. The Nickel Plating also resists corrosion which increases their life.